G&D Records is back with the new edition of TICD 2015. Since the first Dubstep compilation album in 2012. TICD has come a long way with the creativity and quality of the music. Every year it gets better. If you are up for Heavy Bass lines and Growls, this album is worth the time. 3 years under the belt now for one of the most critiqued and loved Dubstep compilation albums out there and if you haven’t checked it out yet. Now is the time! If you enjoy Dubstep, Trap, Electro, Hardstyle, Moombahton, House and Trance you are in the right place. This powerful story displays the heart of God for the rave community. 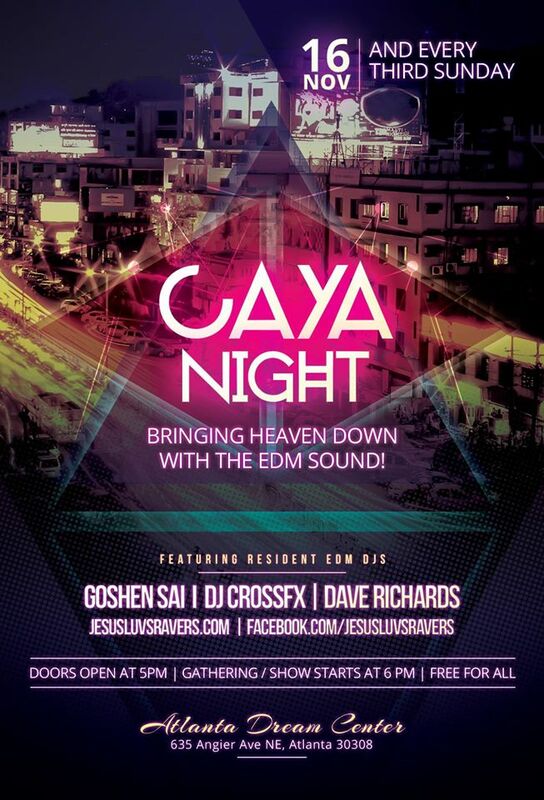 Goshen Sai and his wife Tiffany share how God called them to bring heaven to the rave scene. Goshen is doing his part bringing the rave experience at the Atlanta Dream Center to encounter God in a club setting using Christian EDM with praise and worship music set to rhythmic dance beats and sounds. Check out the Trailer and 30-minute Documentary on how Goshen and Tiffany’s lives were changed to give God all the Glory.